It’s the pattern for the cutest little slug you’ve ever seen, together with a rainbow of colours and an adorable snail measuring tape. 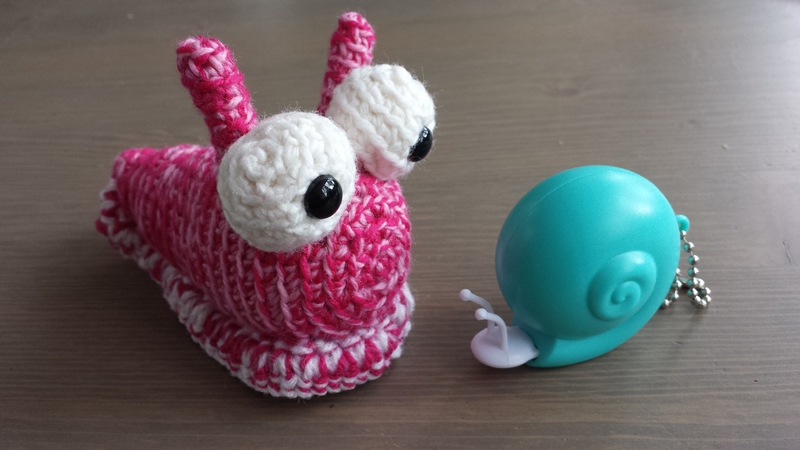 The yarn included in the kit is pretty easy to split and Stacey suggested making a marbled slug, so that’s what I did. She goes great with the orchid we got from a friend as a housewarming gift. 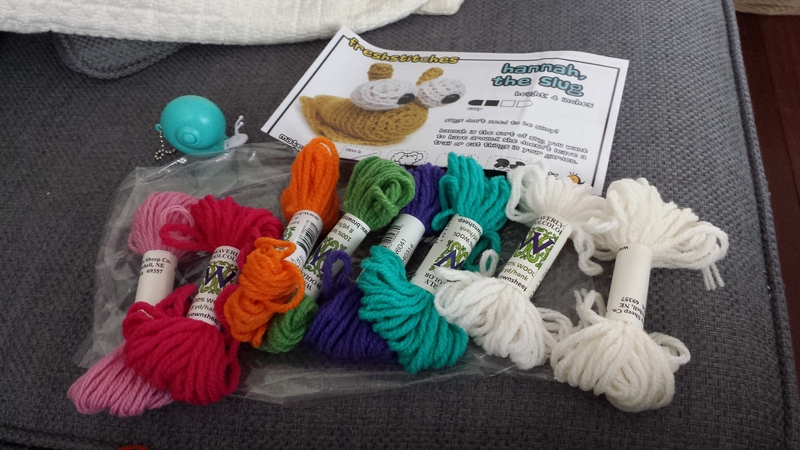 Check out the FreshStitches Kit club for more info about the club! Second Fresh Stitches Kit club! The second kit was more down my alley: a cute little robot. First off, I absolutely loved the pattern. Second, it has some great technique to really make great corners. I usually prefer round shapes, since squares don’t seem to come out right, but with this technique, it looks really good! Apart from that, the kit included red felt for the heart and tiny, shiny beads to make it extra special. We needed to do some beading! Can’t wait to see what the next kit club kit will bring! If you want to make this little robot for yourself, I’m afraid you will have to wait a couple more months. The kits are club exclusives for six months and this pattern was especially constructed for the club! (I feel so special :3 ) But of course, you can join the club and get an awesome kit every other month! This January, I joined the FreshStitches Kit Club. 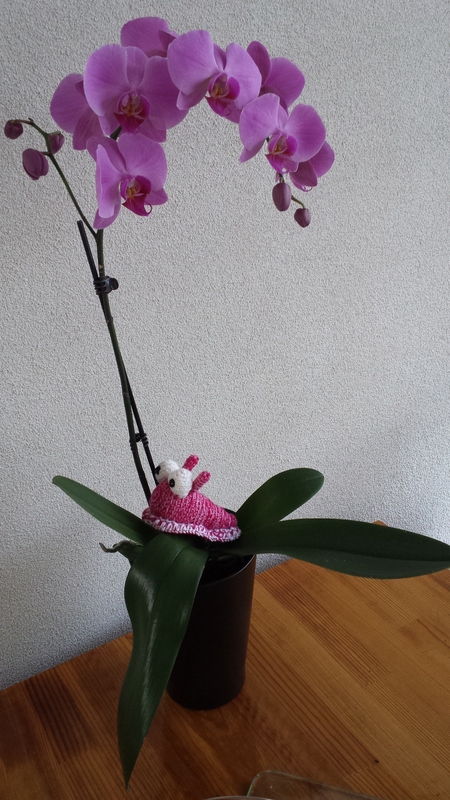 The idea is you pay a two-monthly fee and get a complete kit to make an amigurumi every other month. I figured I could try it out, since I bought a few FreshStitches patterns in the past. They’re fun to do and the bonus with the Kit Club is that you get to make yours with a little twist, apart from just the pattern. All materials are ready to go! Of course, I got too excited. I checked out the special Kit Club Web page today and found that I’d been too quick. In order for the special twist to work, you needed to make some minor changes to the pattern and keep all parts separate. So I ended up frogging everything T_T Now I have to start all over again. 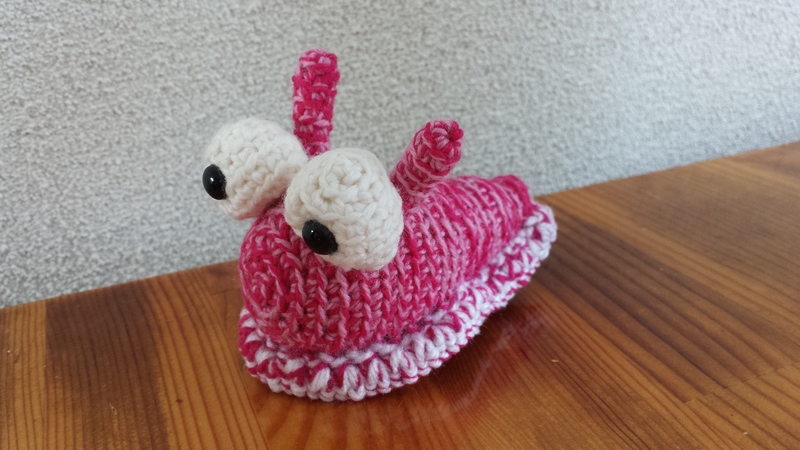 And remember, I try to keep the Crochetnanigans FaceBook page updated a bit more than I am able to do here, so if you want to keep an eye on my current projects, be sure to check it out!